When the UAS Maverick dropped out of warp space in the Devima system in Sector 33, instead of proceeding to Khalimuck, the ship diverted to Verdant, the next planet out from the bright star at the center of the system. True to its name, Verdant was a small green world covered in vast grasslands. 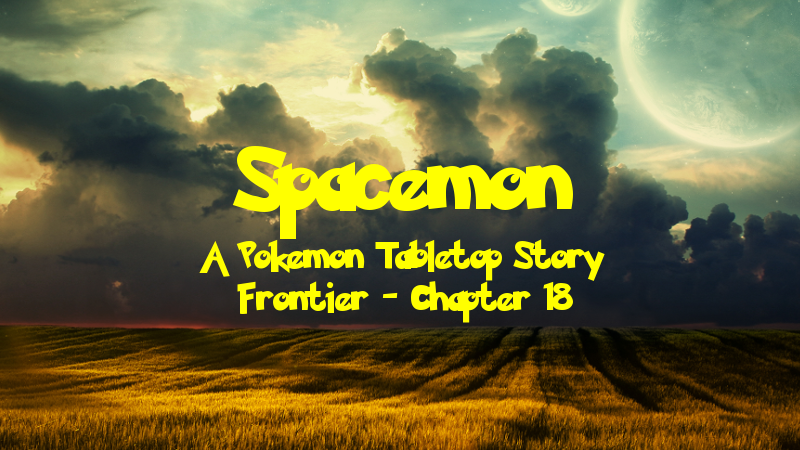 As the Maverick descended, Roland looked out the viewport over the plains stretching out as far as the eye could see. It was a vast emerald ocean, waves of grass rippling along its surface as the blades were teased by the wind. “I will certainly try, sir,” Roland replied as he too turned from the window. “Of course,” Taraka replied, nodding. The two collected the object, then departed from the ship, stepping out onto the vast green plains of Verdant. They walked a good distance away from the Maverick, just to be cautious, and selected a spot to conduct their tests. Deciding to start with the button on the upper right, Roland pressed it. He waited a few moments, and nothing seemed to happen. “Hmm,” the merchant grunted. “Would you mind holding this, my friend?” he then asked Taraka. The monk took the device off of Roland’s hands, allowing him to access his pack. He pulled out his datapad and noted the results of pressing the button as Taraka continued to examine the object on his own. “Shall we try another?” the monk asked after a few moments. Taraka nodded, then pressed the button on the upper left. This seemed to trigger something, as the device let out a single beep, causing the monk to drop it in surprise. Both he and Roland looked at the object lying in the grass for several moments, waiting to see if it would do anything else. “Well, I do not think it is going to explode,” Taraka said. “But it doesn’t seem like it’s going to do anything else either,” Roland observed. He glanced back down at his datapad and noted that the device beeped when that particular button was pressed. Meanwhile, Taraka picked the object up off the ground. “Only one way to find out,” the monk said before pressing the button on the lower left. “Nothing,” he said after a few moments of silence. “Try the next one, then,” Roland said after recording this result. The merchant watched over the monk’s shoulder as he pushed the final button, the one on the lower right. The results of this were the most interesting yet. As soon as the button was pressed, the panel changed to display a bunch of text in the same language as what was on the button labels. Of course, neither Roland nor Taraka could read what it said. “An owner’s manual, perhaps?” Roland suggested. “If it is, it doesn’t do us much good as we cannot read it,” Taraka said. Taraka let out a deep breath as he leaned on his staff. He and Roland had been walking for quite a while across Verdant’s vast plains. Currently, the two were ascending a large hill and had stopped to catch their breath for a moment. Taraka looked around back in the direction they had come, hoping to catch sight of some Pokemon. The monk, however, didn’t spot any. The pair continued their ascent and soon crested the hill. Here, they were greeted by the beautiful sight of rolling hills of grass, the sunlight shining down over them. In the distance, Taraka could see several Cottonees and Hoppips floating in the wind as well as some grazing Skiddos at the foot of the hill. Taraka and Roland descended the hill toward the grazing Skiddos. By the time they reached the bottom, all but a pair had moved off. However, a batch of Cottonees and Hoppips had drifted near. 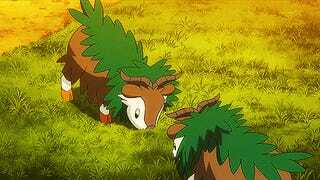 As he was thinking of which group of Pokemon to pursue, Taraka suddenly heard a rustling in the nearby tall grass. A moment later, a Leafeon emerged from the brush. “Ah, that one will make a nice addition to my team,” Roland said. He pulled out a Pokeball as he approached the Leafeon, and sent out a Lileep. Taraka followed behind the merchant, releasing Sirius, who had recently evolved into a Togekiss with a shiny stone he had purchased after the last job the Maverick crew completed. As Taraka’s Pokemon unleashed her attack, Roland continued to approach slowly alongside his Pokemon. “Sloth, use Confuse Ray,” the merchant commanded the Lileep. His Pokemon released a ray of hypnotic energy at the Leafeon, sending it into a fit of confusion. The dazed Pokemon stumbled, then fell over. It rolled around on the ground in its confused state, spraying a Razor Leaf attack in all directions, but not hitting anything. “Fairy Wind again, Sirius,” Taraka ordered his own Pokemon. Sirius attacked again, striking the dazed Leafeon with one more blast of air. While it still lay stunned on the ground, Roland tossed a great ball at it, capturing it instantly. “Well, that was easy,” the merchant said as he walked over to claim his prize. “Now, about those Cottonees and Hoppips,” he continued once he picked the ball up. Taraka gazed over at the other Pokemon to see them floating away on the wind. “Wait, come back!” Roland called out after them. The merchant recalled his Lileep, then took off in pursuit, switching to a Linoone as he chased after them. “He can take care of himself,” Taraka said to himself before walking in the opposite direction. The monk was more interested in capturing one of the Skiddos. With his Togekiss flying alongside him, he approached the grazing Pokemon. “Now’s your chance, Envy!” Roland shouted to his Pokemon, spotting the group of Cottonees and Hoppips drifting low to the ground. “Use Headbutt!” The Linoone jumped up at the Cottonee at the back of the pack and bashed into it with his skull. In response to this attack, the group of three Cottonees and two Hoppips descended upon Envy. They all looked surprisingly angry. “Well, this is unexpected,” Roland said to himself, watching one of the Hoppips blast his Linoone with a yellow powder that left him stunned. The other then bashed into him. “Get out of there, Envy!” Roland shouted to his Pokemon. The Linoone leaped out from the mass of Pokemon surrounding him, headbuttinng one of the Cottonees along the way. The Pokemon weren’t going to let him escape that easily, though. The Cottonee that Envy had just hit unleashed an energy draining attack, while another spewed Leech Seeds at him, and the third released a blast of wind. I need to get rid of some of them, Roland thought. He ran up to the Cottonee that his Linoone had hurt and threw a Pokeball, hoping for the best. The Pokemon was pulled inside the ball, which fell to the ground, still. The Cottonee was caught. Although he was happy that he had captured another Pokemon, Roland knew he still needed to deal with the four remaining Pokemon assaulting Envy. He watched one of the Hoppips tackle his Pokemon to the ground before the other put him to sleep with another powder burst. One of the Cottonees then sprayed the Linoone with Cotton Spores. “Enough of this,” Roland said before recalling his subdued Pokemon. He then sent his Lileep back out. The remaining Pokemon began to attack immediately, but Sloth was much more resistant than Envy. “You’ll need to do better than that!” the merchant teased them. “There they are, Sirius,” Taraka said to his Togekiss as he and the Pokemon crept up on the pair of Skiddos, who remained unaware of their presence. “Use Fairy Wind on that one,” the monk continued, pointing to one of the two Pokemon. Sirius quickly flew in and unleashed a blast of air, catching the Skiddo completely off guard. Before the Pokemon could figure out what was going on, she was able to get in another attack. 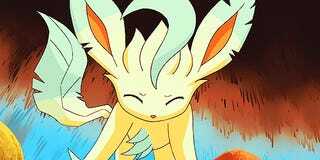 Seeing its friend in danger, the other Skiddo ran up and tackled the Togekiss, but she remained relatively unharmed. Finally regaining its bearings, the injured Skiddo let out a flurry of razor sharp leaves, but Sirius easily flew out of harm’s way. “Come here, you,” Taraka said to himself as he snuck up on the startled Skiddo. It was totally distracted by Sirius, so the monk was able to get up right next to it and press a Pokeball against it. The Skiddo was pulled inside without a struggle. “Sirius, use Yawn and put that Skiddo to sleep,” Taraka then ordered his Pokemon. The Togekiss obliged, sending the remaining Skiddo into a drowsy state. It tried to get in another attack, but it succumbed to sleep, collapsing to the ground. “Good work,” Taraka said as he placed his new capture into his pocket. He then gazed across the field to see Roland having a bit of trouble with the Cottonees and Hoppips, which were swarming around his Lileep. “Looks like we need to go lend a hand,” the monk said to his Togekiss. “Sloth, use Acid!” Roland commanded. His Lileep let loose a spray of acidic juices, splattering one of the Cottonees and both Hoppips. This did a real number on them, taking out one of the Hoppips. Three assailants still remained, however. The two Cottonees unleashed blasts of wind at the Lileep, starting to whittle him down. The remaining Hoppip looked to be about to strike again as well, but a Pokeball came flying in, pulling it inside. Roland looked over in the direction the ball had come from to see Taraka running over, his Togekiss flying just behind him. The merchant then heard the sound of the Hoppip breaking free and turned back to face it. “Sirius, Metronome!” Roland then heard Taraka command his Pokemon. The Togekiss flew in and unleashed a random attack, conjuring a storm of shimmering crystals. Unfortunately, they didn’t hit anything. Desiring to end the fight as quickly possible, Roland decided he needed to get his hands dirty. He clenched his hand into a fist and took a swing at the nearest Cottonee. His punch made contact, but the impact was absorbed by the Pokemon’s soft, fluffy body. “Sloth, use Ancient Power!” the merchant then commanded his Pokemon. Unlike his own attack, Roland’s Lileep was able to hurt the Cottonee a bit. It wasn’t enough to take it out, however. Still quite agitated, the two Cottonees struck back, but they couldn’t do much to harm Roland’s Pokemon. As his Pokemon struggled with the Cottonees, Roland watched with relief as Taraka drew the Hoppip away with another attempt to capture it. Angered, the Pokemon flew right at the monk, bashing into him. “Agreed,” Roland said. He turned back to his Lileep, still scuffling with the two Cottonees. They were starting to wear his Pokemon down, but he knew the Lileep still had fight left in him. “Sloth, use Constrict!” The merchant’s Pokemon grappled onto one of the attacking Pokemon and began to squeeze. While it was immobilized, Taraka seized the opportunity and threw a Pokeball at it, successfully capturing it. “Now for the last one!” Roland shouted. “Sloth, take it down with Acid!” The Lileep obliged, spewing out more acid at the sole remaining Cottonee, finally bringing it down. With his Pokemon now safe, Roland turned his attention to the Pokemon that Taraka and his Togekiss were battling against. The merchant watched the Hoppip tackle the monk’s Pokemon, then fall to the ground, asleep. Taraka then ran up and pressed a Pokeball against the sleeping Pokemon. The ball pulled the Hoppip in, then began shaking violently. After an exceptionally long time, it fell still, then the monk slipped it into his pocket. Now, all that remained was the Skiddo, which was still spraying Razor Leaf attacks at Taraka’s Pokemon. The Togekiss, for her part, did not seem particularly bothered. “Sirius, Metronome again,” Taraka commanded. This time, Sirius coated over in ice as she dive-bombed the Skiddo, delivering a decisive strike. The goat Pokemon fired back more leaves, but the Togekiss was still unfazed. Taraka moved in and bashed the Skiddo over the head with his staff, then ordered his Pokemon to attack again. With one last blast of air, the Skiddo was brought down. “And I thank you for it,” Roland said with a nod. “Now, how about we return to the ship? Notes: And there we have it. Another session is done. Since we didn’t want to advance the plot too much without the full party there, the rest of the session was spent in a combat encounter after messing around with the device. Looking back, I wasn’t particularly creative in coming up with what happened when each button was pressed, but hindsight is always 20/20. The planet itself was kind of amusing. As we’ve discussed in earlier chapters, my random planet generator spits out two biomes for the planet as well as a commonly found Pokemon type. In this case, it spit out grassland, grassland, and grass type. Hence the grassiness, and me choosing to name it Verdant. And then Roland’s player rolled a 6 on looking for Pokemon, so I just threw a bunch of grass types at them, including a rarer one in the form of Leafeon. After the Leafeon was caught, they kind of split up and Roland’s player got himself mobbed, which was hilarious. The fight ended up taking a little while because of that and the fact that we only had two players. We joked about how fast it would have gone if Axel was present because he would have just burnt everything to death. In session, I had the whole encounter happen at once, alternating between what the two players were doing as their initiatives came up, but in writing it I opted to split it up. In doing this, I experimented by alternating character perspectives mid-encounter to make the read a bit more interesting, not to mention easier to follow. Post-Chapter Challenge: Since Verdant is a planet with its two biomes and its type being basically the same, this chapter’s challenge is to name and describe a planet following the same formula (ie arctic, arctic, ice). It’s a simple one, but it might be fun.